My favourite part of beauty is skin care. Nothing satisfies me more than finding a routine with products that show noticeable results. Double-cleansing has been (and still is) the most effective way to keep my skin clear, soft and blemish free! I know it sounds like a lot of faff if you are a make-up wipe-kinda-gal but trust me, the process is worth it. Makeup wipes and micellar waters are good for festivals, staying at someone’s house, removing makeup in a rush and similar situations, but they don’t remove any of the dirt or oils below the surface. In fact, makeup wipes literally just spread makeup and dirt around your face. I haven’t used makeup wipes in about 6 years and my skin definitely thanks me for it. Its only once you start cleansing your face properly that you wonder why you hadn’t always been doing it that way! Let’s get started. Ok so what do you need to master the art of double cleansing? First, I’d recommend getting some face cloths / flannels. 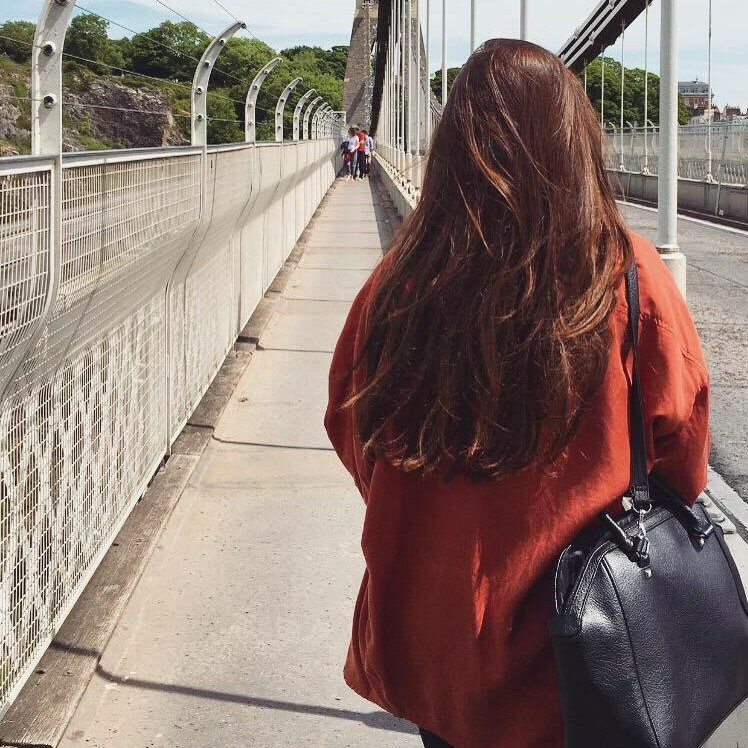 If you are on a budget, Primark do packs of three face cloths for a couple of pounds – complete bargain and good for every day use. I know some people like to use muslin cloths but personally, I don’t find these thick enough to really exfoliate away dead skin cells. If they are your cup of tea though, Liz Earle make fab muslin cloths that I do rate highly. For the ultimate cleansing though, I cannot recommend the Emma Hardie Lift and Sculpt Cleansing Cloths enough. With one side being a slightly abrasive muslin cloth and the other, a smooth microfiber that is just perfect for smoothing and polishing your skin. Honestly, these cloths make any cleanser work better. Treat yourself to a set of these and you’ll never look back. On to cleanser number one. This is to be used on dry skin, massaging in to melt away makeup on your face. Splash your face with water to turn into a milk-oil and remove with a warm, damp face cloth. This is the ultimate way to remove waterproof mascara, and you know that if a product can remove waterproof mascara, it can remove anything! Choose a thick, cleansing balm or oil. Either way, it should feel thick and oily on your skin to pull anything oil-based away from your skin, from makeup to sebum (I hate that word haha). I’m sure oily-skinned folk will be cringing at the thought of putting more oil on. However, skin care experts have proven that using oils means your skin should actually produce less oil as you’ve taken the control and put oils there first! Fighting fire with fire. It does make sense – but a good middle-ground choice for anyone with doubts/is new to double cleansing is the Clinique Take The Day Off Balm, which is super lovely and fragrance-free – gentle but still removes all makeup. 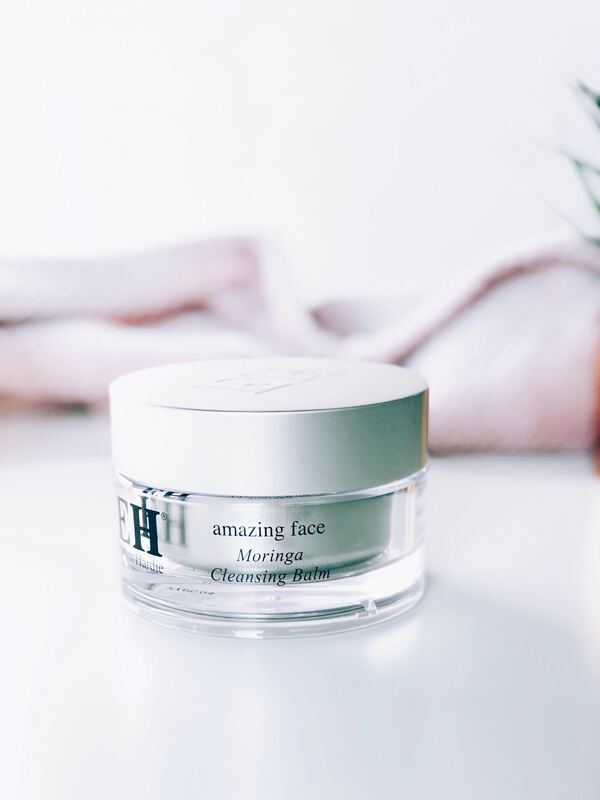 For anyone else, the Emma Hardie Moringa Cleansing Balm is like a pot of magic. It quite literally melts away your makeup, allowing you to massage it deep into your face for deep cleansing. It feels so nourishing during and after use. I will always repurchase this one! If you are on a budget, the Camomile Cleansing Butter from The Body Shop is a good alternative, although for me, it can sting my eyes if I open them whilst cleansing. Still, I’ve gone through about 4 tubs of this, so I think the proof is definitely in the pudding – a brilliant cleansing balm at just £10 which will last you months. With all of these options, your skin might feel a little oily/has residue afterwards. Don’t worry – that is what the second cleanse will take care of! Now it is time to bring your skin back to balance and remove every last trace of cleansing balm, dirt or makeup. This is my favourite part because by the end, my skin feels incredibly clean but still soft and not super dry either. 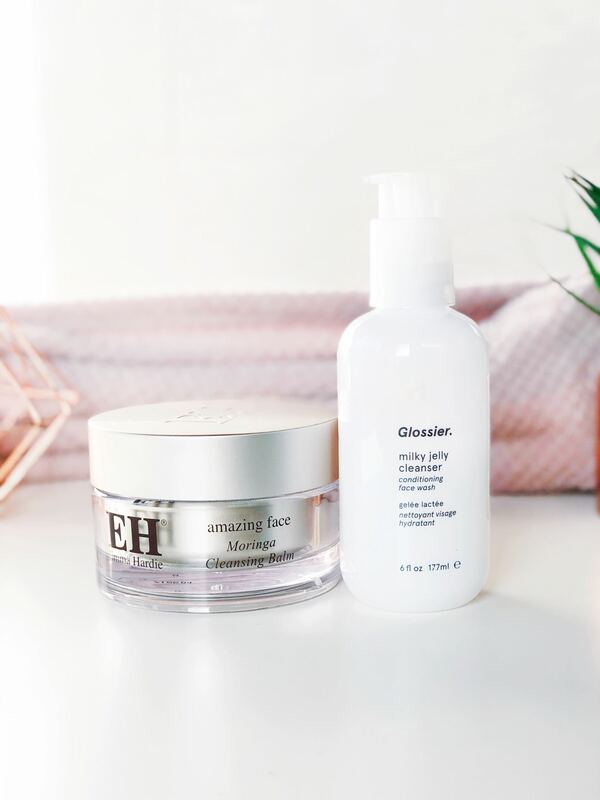 Here is where you want to choose a cleansing milk or gel, something more gentle that will just glide over your skin but still allow you to deep-cleanse. 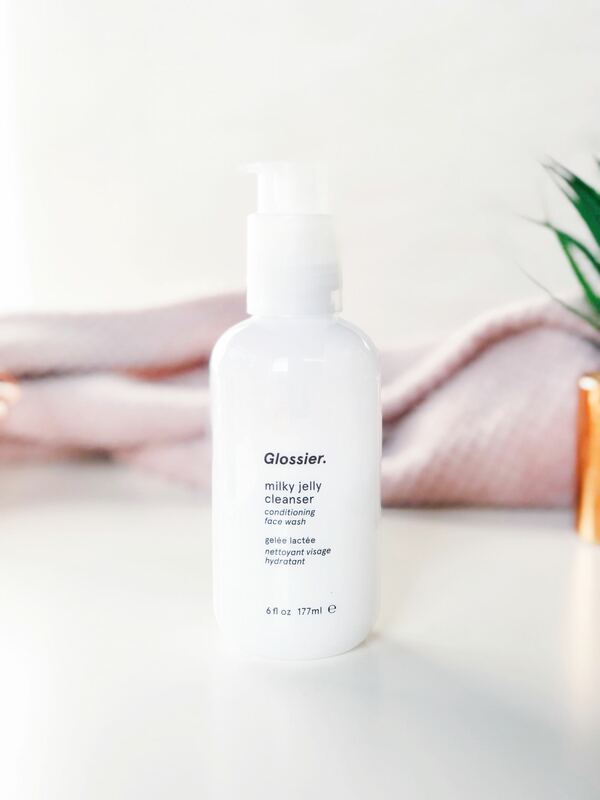 I’m not going to beat around the bush here – I’m going to recommend the Glossier Milky Jelly Cleanser to every single person reading. The love the world has for this cleanser is totally justified. With a subtle rose-scent, this calming, cooling gel cleanser has an amazing consistency. One pump worked over your skin feels so lovely. At £15, it is great value and will last you for months. After rinsing with a face cloth, it leaves my skin feeling clean but never tight or shiny. It is pH-balancing so will leave your skin in the best possible condition. If you like to use brush cleansers (manual or electric), this is where they fit into your routine. I only do this about once a week, using the (currently half price) No7 Cleansing Brush; a great budget dupe for the Clairasonic. Apply the cleaner, and use the damp brush cleanser to really get a deep clean to your skin. Those of you with sensitive or really dry skin should probably avoid this step as it might aggravate your skin a little. Wash away with your face cloth until your skin is clean. And that is pretty much it! Your skin should feel completely and utterly clean, soft and exfoliated. Please do give it a try, I had to share it as it has made such a difference to my skin. Do you think you’ll give double cleansing a try, or maybe you’ve already tried it? I have completely fallen in love with the Emma Hardie cleansing balm, it is such a dream! I really want to get my hands on some Glossier goodies though – especially this cleanser. I have heard such amazing things! I so badly wish I could get Glossier in my country! I think choosing face cloth is the most important! I’ve wanted to try both of these products for so long! I love cleansing oils so I’ve always wanted to try a cleansing balm. i love a good double cleanse, especially after a long day and when i wore loads of makeup. i would love to try the milk jelly cleanser but i can’t get glossier where i live.